EMV stands for Europay, MasterCard and Visa; a common set of security standards and enhanced technology that uses a smart chip to authenticate cardholders with their cards. It’s been implemented all over the world and has proven to greatly reduce fraud. 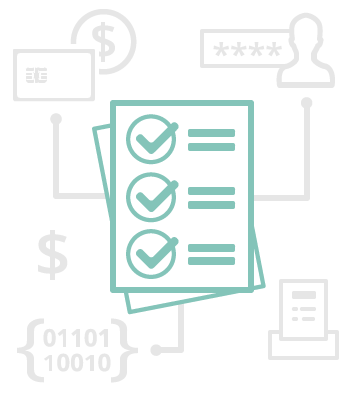 Securing sensitive information is a cardholder’s main concern. Consumers will shop where they know their cardholder data is secure. To accelerate the adoption of EMV in the US, the card associations have instituted a hard date for compliance. As of October 1, 2015, retail merchants will be liable for fraudulent chargebacks if the transaction is not EMV compliant. You may be thinking, “I do not receive many chargebacks today, so the investment in new EMV technology is not worth it for me.” Collectively, card issuers take an 11 billion dollar loss annually on fraud related chargebacks. Come October, the liability falls with you and can become a significant risk to your bottom line. SO WHAT CHANGES WILL I HAVE TO MAKE? 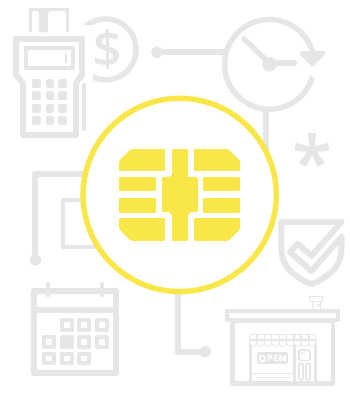 Ensure your entire payments ecosystem is EMV compliant! Terminal based merchants need to insure BOTH the hardware and software that resides within the terminal is updated for EMV. Software based merchants will need to speak with their provider to insure the software and corresponding payments gateway is EMV ready. Also make sure you have a consumer facing device that can accept EMV transactions. Mobile transactions must be processed with a chip reading device. We can help navigate you through the EMV transition and can ease the expense of hardware conversion with easy payment options, leasing and payment plans. EPSG enrolls each of our merchants in our Trustwave Program eliminating PCI Non-Compliance fees after activation.